Small businesses are faced with difficult technology questions every day, like what technology should I invest in, what technology should have a priority over another or what gives my business a competitive advantage? We all know it can be overwhelming to make a decision without the proper information. Rhyme iT helps our clients make more informed technology decisions and with Rhyme Managed IT we take the time to get to know you and your business so that your business drives the technology we recommend – not the other way around. The days of wiping chalk dust off your hands and erasing lengthy notes off traditional chalkboards and whiteboards are over. 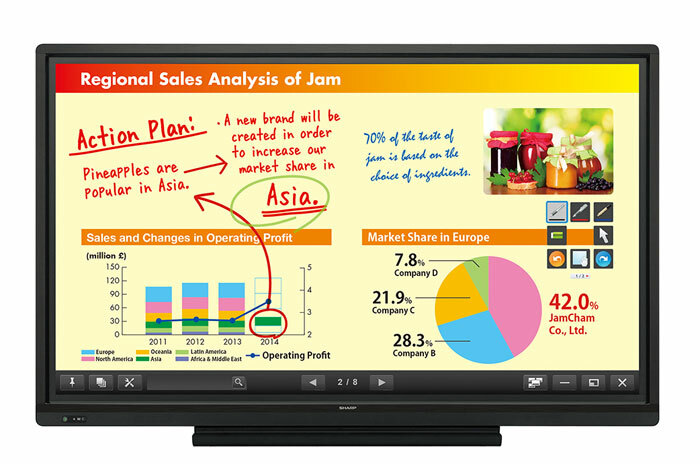 The future of communication for business professionals and educators alike is in Interactive Display Technologies. Once monopolized by video projectors, education and meeting spaces are now seeing Interactive Digital Displays that offer better prices, improved total cost of ownership (TCO), higher resolution and new compelling features. The Bring-Your-Own-Device (BYOD) trend has created this need for a more interactive solution that allows users to connect by using their tablets, laptops and smart phones. The collaboration tools you use in your meeting spaces and classrooms now need to be able to work seamlessly with the variety of devices your users own. With the unlimited amount of phone calls and emails you receive a day it can be hard to keep track of who you talked to and what they do for you. Scammers take advantage of this and use it for their own benefit. You can’t protect yourself if you are not aware of the variety of different schemes some people will throw at you. At Rhyme, we know this and that’s why we want to ensure that your organization is aware of the potential scams that go on in our industry. Technology has revolutionized the way we communicate. We create, share and store data faster than ever and this has greatly impacted the way we conduct business. While transmitting data almost instantaneously has its benefits, it also causes security concerns, especially for businesses that require their information to be confidential and safe. But you’re not defenseless; by taking advantage of your MFPs security features you can safeguard stored documents and prevent unauthorized access to your network. 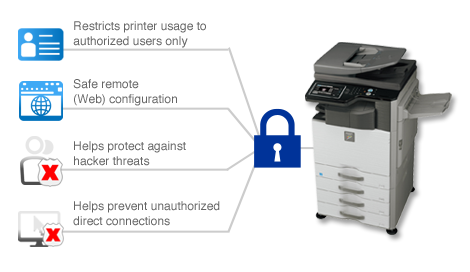 Not that long ago industry experts predicted that the arrival of a paperless office was near. With the rise of emerging technologies like cloud storage, document management and e-versions of every book and magazine out there it made sense at the time. But the reality is printing hasn’t reduced at all; we’re actually consuming more paper than ever. What about the environment you may ask. Isn’t printing that much bad for it? The print industry, in fact, is not only environmentally friendly but also sustainable. The print industry puts a lot of work into applying renewable energy sources and creating eco-friendly supplies. Much so that 70% of today’s ads and direct mail are printed on recycled paper and the print industry plants 3 times more trees than it cuts.